Perhaps due to the abundance of dairy products, a Punjabi meal is never considered complete without a drink like Lassi or Chaas. If it is a light meal, the Lassi will help satiate your tummy, and if it is a heavy meal the Chaas will help you digest it! Looking for a refreshing drink during hot summer days? Sip on this cooling Khus drink with subza seeds. The cooling property of khus and subza will rejuvenate your body. Also, a glass of Mint Chaas will freshen you and help in absorption of nutrients from food. Kairi ka Jaljeera is another drink that will freshen you. Lassi is a classic North Indian beverage which is thick in consistency and quite filling. Traditionally it was made using a wooden whisk known as mathani and served in earthern pots known as matkas, now a days it is blended using a hand blender or mixer grinder. 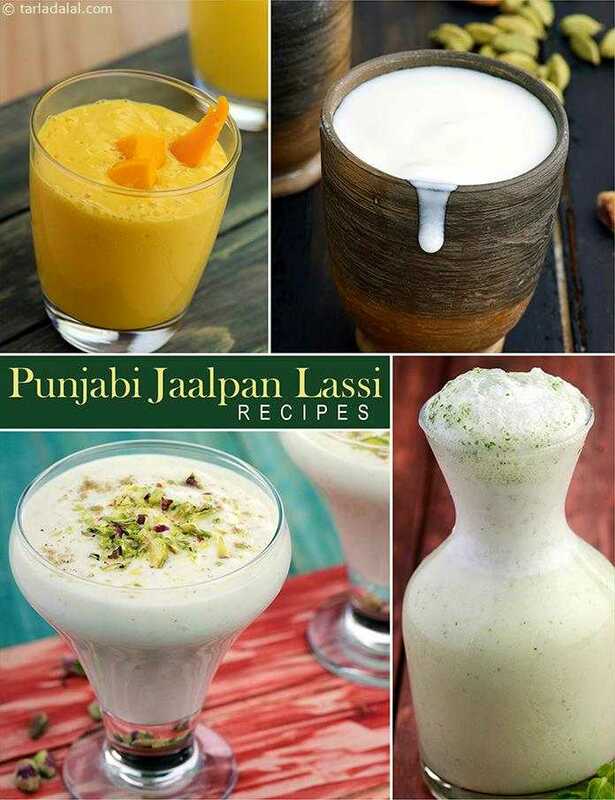 You can perk up the basic lassi with by adding mango pulp, rose syrup, cardamom powder, and grapes and make wide varieties of flavored lassi like Mango lassi, Rose Lassi, Cardamom Lassi or Grape Lassi. A dollop of clotted cream on top of it enhances the texture massively. Here is a collection of must-try Punjabi drinks! The next time you need something deliciously cooling yet tasty to drink after a hard day, you don't need to look far or opt for any unhealthy processed drinks. A refreshing and cooling drink, the phudina jeera pani looks delicious when served topped with boondi. You can also substitute the original flavour by adding rose, pista or kewra instead of saffron and vanilla. The creamy banana lassi is a nice variation to the popular and traditional yogurt-based lassi drink (sweet or salted)which originated in the punjab region of the indian subcontinent. It is made by blending yoghurt with mashed banana and sugar to prepare a sweet creamy lip smacking banana lassi. Mango lassi is a nice variation to the popular and traditional yogurt-based drink (sweet or salted) which originated in the punjab region of the indian subcontinent. It is made by blending yoghurt with fresh mango pulp and sugar to prepare a sweet creamy lip smacking mango lassi.